Simona Ventura is an Italian showgirl and TV presenter who made her first appearances in the 80s, to later find success with shows as Mai dire Goal, Matricole, Festivalbar, and finally sign a contract in 2011 with Sky. 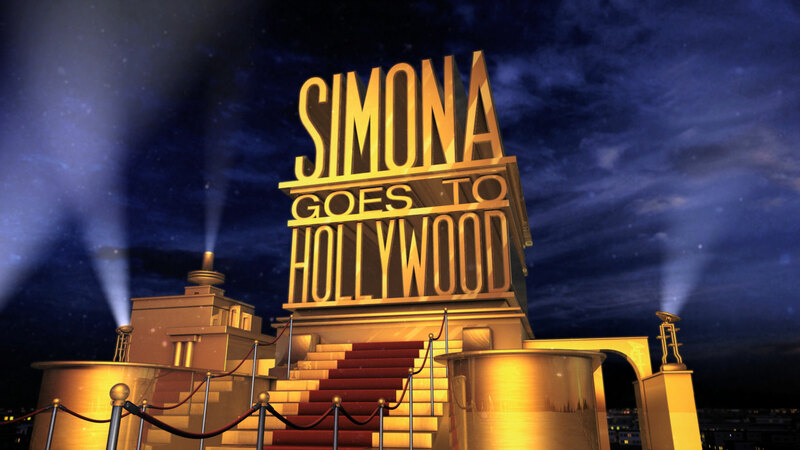 Simona goes to Hollywood, and while she speaks about fashion, films and gossip, we decorate the show with gold, lights and red carpets, with an elegant and glamorous touch. She is preparing for the Academy Awards like a star, and we make her protagonist with lights, reflections and glints. We do not know if she will succeed in the middle of the limelight, but the magazine will be surely dressed for the catwalk. To use FOX logo shapes, imprinted in the brain of each one of us, may not seem an innovative solution, but it is functional. Being able to adapt to client’s requirements, sometimes, is the best creativity that can be used. The result was a show that had an interesting follow up and that represents an experiment in the pleasant world of italian entertainment.